“The cats continue to trickle in." 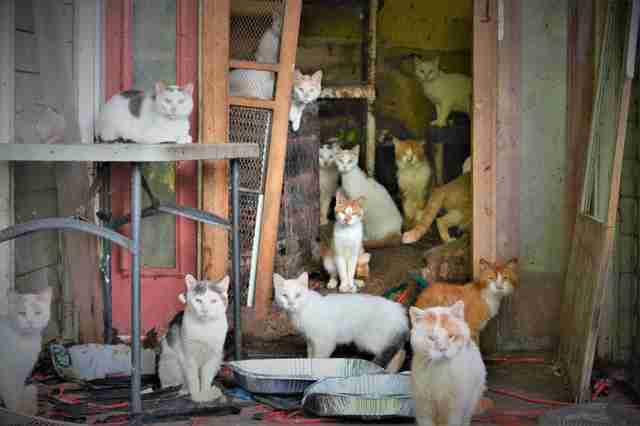 When St. Hubert’s Animal Welfare Center in New Jersey got a call about 100 cats living in one home, staffers agreed to help them and gathered up a team to head out to the home. The team was expecting a large number of cats when they arrived at the property on June 26 — but nothing could have prepared them for just how many they ended up finding. The property where the cats were being kept belonged to an elderly couple. 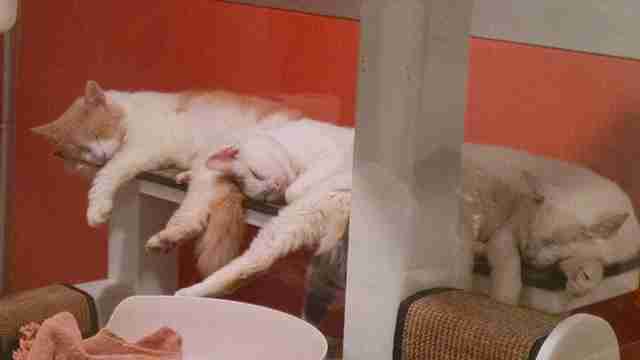 When the wife passed away around a year ago, her husband became overwhelmed with caring for all of the cats, and the situation escalated so quickly that eventually he had no choice but to call for help. 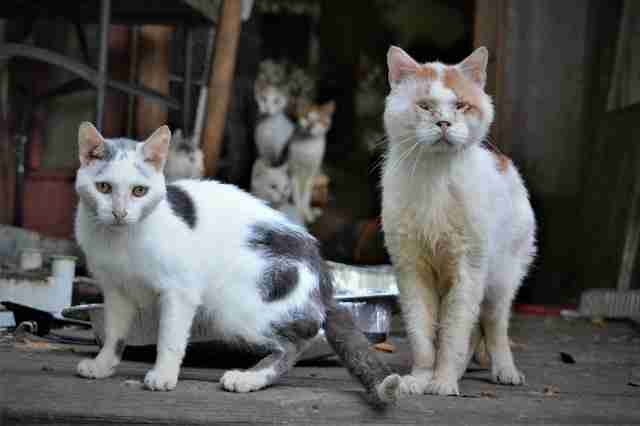 As rescuers began to explore the property, cats began popping out from everywhere, and they quickly realized there were a lot more than 100 cats living there. 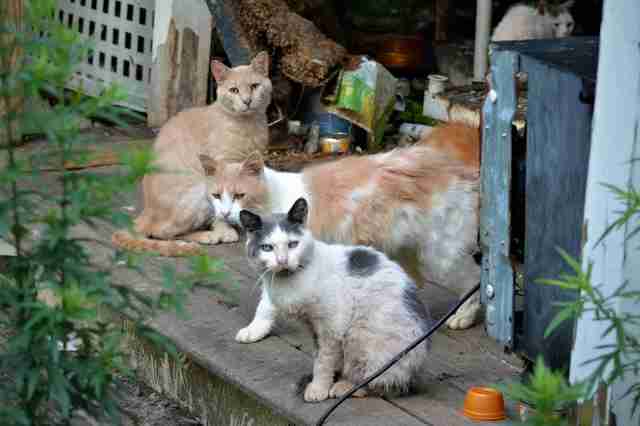 As of now, the rescue has taken in 187 cats — and the number just keeps growing. Most of the cats were extremely dehydrated when they arrived in the care of the rescue, and also suffered from gastrointestinal issues, parasites and flea dermatitis. A handful of the cats had entropion, a genetic condition in which a portion of the eyelid is inverted or folded inward against the eyeball. Luckily, the cats were in better condition than the rescuers had expected, and most of them began recovering quickly. 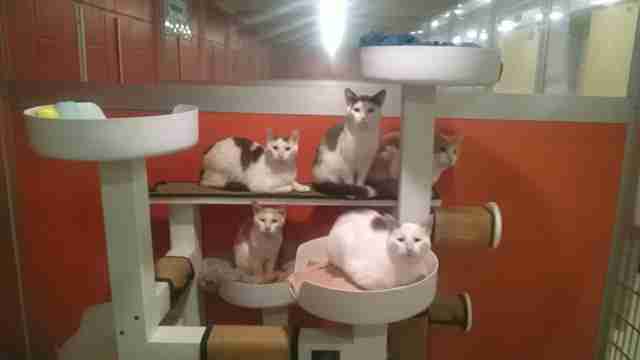 After living in such an environment, staff at the rescue were unsure how the cats would adjust to their new life — but surprisingly, most of the 187 cats are doing incredibly well. Even though the cats are all safe now, the rescue is urging everyone to remember that animal hoarders have a nearly 100 percent chance of doing it again, according to St. Hubert’s, and while it’s important to help the animals, it’s also important to help the people who put them in that situation. While the majority of the cats are doing well, they’re all adjusting to their new life at different rates. They will all be up for adoption eventually, but some will become available sooner than others based on when each individual cat is ready. Most of the cats will be placed in homes, but some may need to be barn or farm cats. On Friday, St. Hubert’s will be holding an adoption event for the cats who are ready, and are hoping that all 187 cats will go off to find their loving forever families very, very soon. 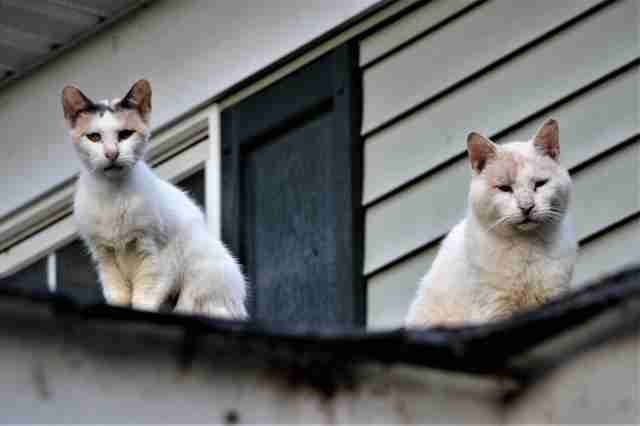 If you’re interested in adopting one of the 187 cats, you can email St. Hubert’s at info@sthuberts.org. If you’d like to help the rescue continue to care for the ever-growing number of cats, you can donate to St. Hubert’s Animal Welfare Center.